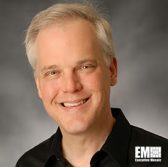 David Egts, chief technologist for Red Hat’s North American public sector, has said information technology departments seeking to increase efficiency can combine containers with agile development and DevOps processes, GCN reported Tuesday. “You can have your developers working very, very quickly on focusing solely on the application, and by using DevOps and agile principles on a container platform, you can get that application into production a lot faster than provisioning virtual machines and doing it the old-fashioned way,” Egts said. He discussed how cloud serves as an enabler for containers, which he said can act as an abstraction layer that can be standardized by developers to accelerate the migration to the cloud. “If they develop something in a container, they could run it on-premise, they could run it on your laptop, they could run it out in the cloud — and that experience would be the same,” Egts added. Red Hat has teamed up with Microsoft to establish the Red Hat OpenShift Container Platform in the latter’s Azure public cloud.